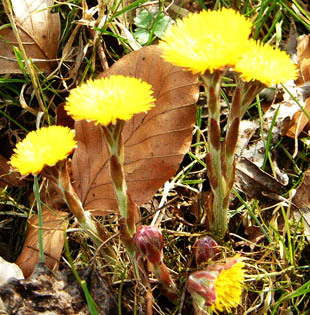 February to April, but most obvious in March. 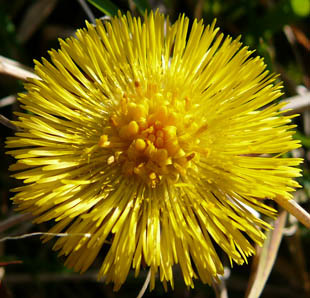 It is regarded as a weed in agriculture. 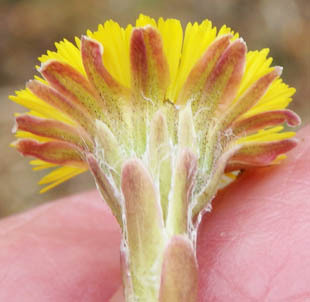 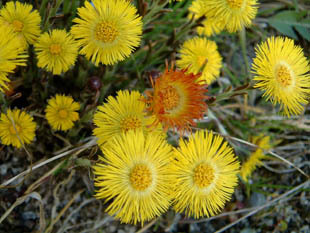 Flowerheads are bright yellow (15-35mm). 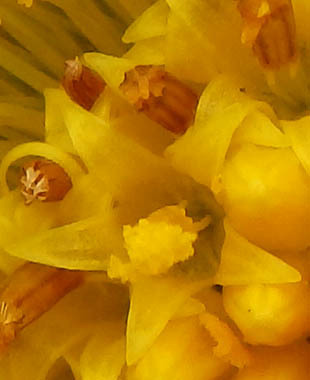 Ray florets are in several layers, ligulate and female. 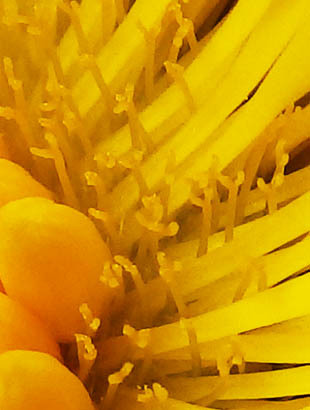 and the 5 stamens form a closed cylinder round the style. 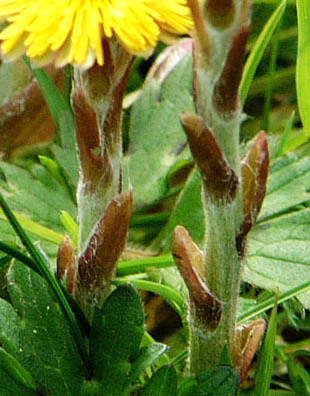 Bracts are numerous, green and purple. 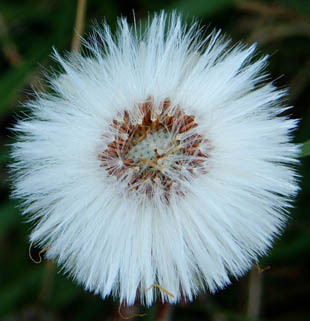 The seed clock has light brown achenes. 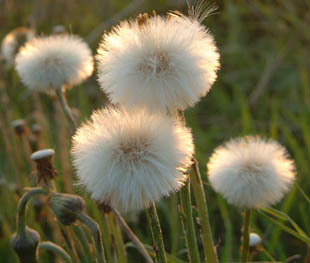 Pappi are composed of many long, simple hairs. 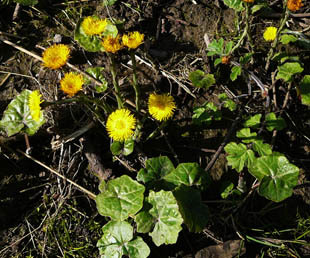 Leaves appear after the flowers and can be up to 30cm. 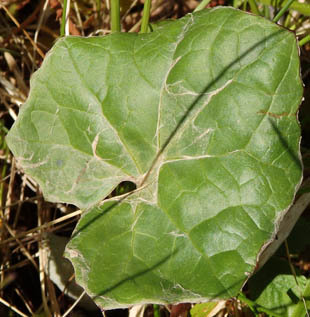 The stems have large purple of green scales.